August is Movie Madness all month long at Bookmans! Sure, everyone is talking about Suicide Squad, the all-lady Ghostbusters or the latest Hollywood hits – but what about those films that are very often overlooked? We’re talking about those oddball films filled with nostalgia, usually made with no budgets, the not-very-common, yet have built a cult following in their own right. With the recent announcement that the Japan based Funai company would cease production on the very last made VHS player, and the production of VHS tapes officially ended in 2008, my Movie Madness is raging. If you missed Part One, you can rewind to here, check out Part Two here or dive head first into Part III, here. 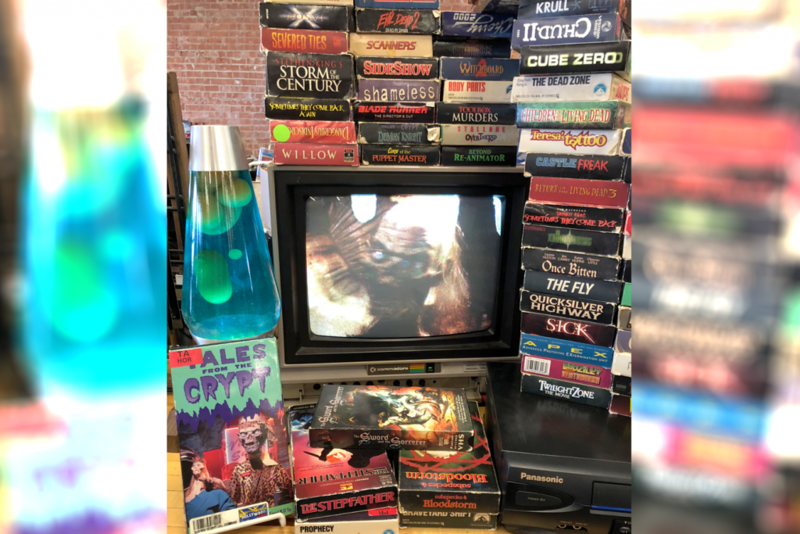 Otherwise grab the remote, sit back and enjoy Part IV of Tales from the VHS Video Vaults. What isnt there to love about this movie? It is best described as a family fun version of “The Rocky Horror Picture Show.” The storyline is familiar, where a young couple finds tons of musical fun when they are forced to seek shelter in a spooky mansion on Halloween night. Once there, they find it filled with some of Hollywood’s favorite ghouls, all of whom love to sing and dance. Starring Full House’s Candice Cameron this is musical lightheartedness at its best! This VHS was based on a song made popular by Carol Burnett’s “Viki Lawrence” in 1972, this original made for TV film follows the dreams of Dennis Quaid wanting to be a country music star, Kristy McNichol as his sister and manager, and Star Wars Luke Skywalker stars as Conrad the local policeman who is trying to keep order in the city. Country music, an all-star studded cast, and comedic situations make this a night to remember. OF course this is among our VHS favorites. What cant be said about this movie? It HILARIOUS! Starring the one and only Abe Vigoda, Paul Sorvino, and Cassandra Edwards, this film centers around a bank executive who after having their eighth child, his wife insists he has a vasectomy – something he doesnt even want to think about. These last four weeks have just been a sampling of all of the great films that have not seen the light of day since VHS. Of course there are countless more! These were just some of our favorites. If you have a favorite, or have a special one you feel we missed, please tell us about it and comment below! Remember, be Kind and Please Rewind.